Imagine how excited I was when I found out Wasamin and the rest of the gang from Nagara Pro would be coming to my neighborhood for a big performance. 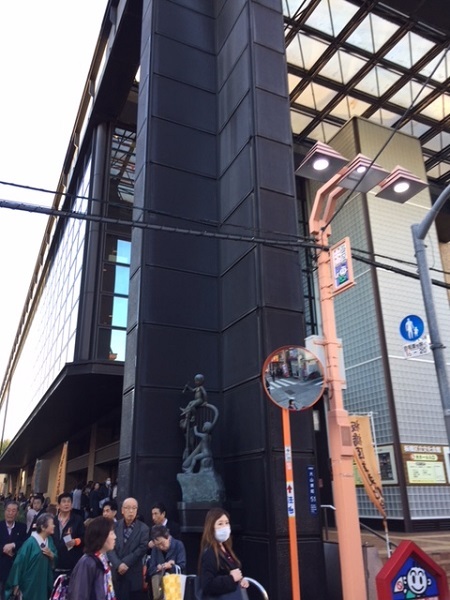 It turns out they make this an annual tradition, traveling to different Tokyo Wards for a performance. This year’s show would be a short distance from my apartment, near my local ward offices. Of course this didn’t get past Wasamin, or the rest of the fans. Wasamin knows I live in Itabashi, and she was counting on me to be there. This was going to be a really big show. 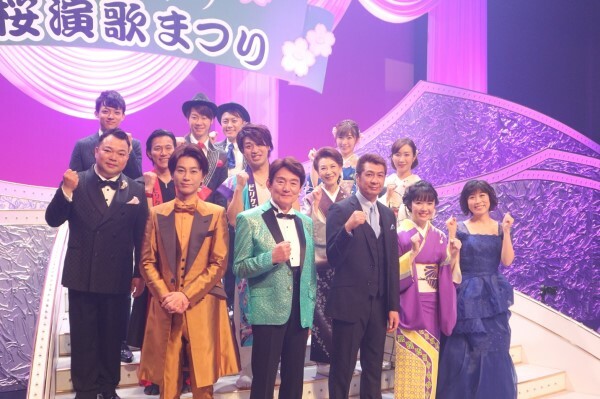 All the Nagara Pro regulars were there; Hikawa Kiyoshi, Mizumori Kaori, Tagawa Toshimi, Yamakawa Yutaka, Fujino Toshie, Hayabusa, and of course Wasamin. The show also featured Sasaki Isao, Billyken, Shiina Sachiko, and Nagara Pro’s new regular performer. Tatsumi Yuuto. As usual, the MC was Nishiyori Higashi. 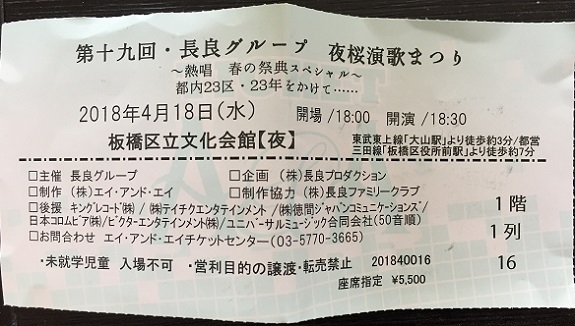 There were two performances scheduled, but I wasn’t sure I could sit through a full Enka show twice in one day, so I opted only for the evening performance, which I applied for via the Wasamin fan club. 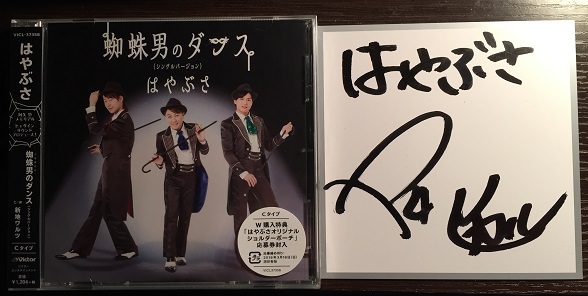 In the meantime, when I met Mizumori Kaori (Wasamin senpai) in Asakusa a month or so ago I also told her I lived in Itabashi and would be at the show. The only thing left was to get my ticket…. BAM! Front row! Right on the aisle too. This was going to be great. Or would it be? Sometimes being the token foreigner and being in a high-visibility seat can come with some interesting interactions and responsibilities. And today, well…let’s start by saying by the end of the show everyone in the 1200 seat hall knew who I was. But I digress…. So I went to see Wasamin, and they were being really generous, giving us about 30-40 seconds per ticket. I welcomed Wasamin to Itabashi. She asked how close my apartment was to the venue (hehe) and I told her two stops away, but very close. I just kept telling her how excited I was that she was performing in Itabashi. She noticed I was sweating, and asked if I was okay. I told her it was because of the crowd of people, which was actually half true. I was also kinda weak from being sick, and all the hustle and bustle in the lobby was getting to me. I told her I had another ticket, and would be back in a minute…. 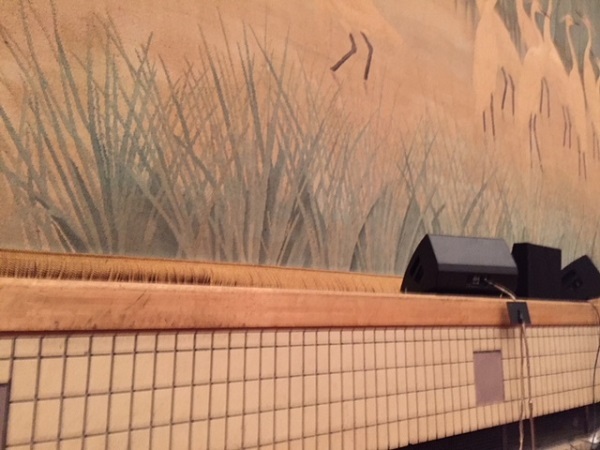 Yep, right against the stage! It turned out I was sitting next to one of the other Wasafan club members, so that was nice. A few fans came up to me and noticed my Wasamin Happi, most of the crowd were Kiyoshi supporters, but there were patches of supporters for everyone throughout the theater. The show started with a group song and introduction of all the performers. I spied Wasamin staring at me a couple of times, and then Mizumori saw me and gave me a little nod and wave. It was the end of the MC, and all of the sudden Mizumori-san tried to get Higashi-san’s attention, and started pointing to me. Oh jeez…. They didn’t play Hayabusa’s Mushi Dance PV I’m guessing because the their member left, instead just projecting their performance on the screen. After one last group song with everyone, including Higashi-san singing, the show was over. As I left I heard my name called by various people about a dozen times or so. And of course the other Wasamin fans were laughing at me. I wanted to join them for beers, but I had to go home and study for final exams.